"Am I not fit for return to the war? Am I otherwise than normal? Less than human?”. Based on a true story, Judgement puts us face to face with one soldier’s reality and asks us to put his fate in our hands. Hear the facts laidbare in a stark account of what human survival in it's darkest hour truly means. Stephen is a graduate of the Guildford School of Acting. Television and Film credits include Hitmen TV pilot Channel 4/Bingo Productions; an appearance in Penny Dreadful (Series 1); the award-winning historical drama The Tudors (Series 2) for Showtime/BBC and Raspberry Ripple (Split Second Films), which has since been screened worldwide and awarded 'Best Short Film' at the Calgary Picture This Film Festival, 2007. Theatre credits include On Monday Last Week at Etcetera Theatre, London; Plain Speak at London Irish Centre; By Mr. Farquhar, staged as part of the inaugural UK City of Culture 2013 program. Other credits include A Far Cry, a new writing by Jonathan Burgess; Fair Faa Ye, USA (American tour); All The Walls a Stage and Roebuck in Love, and a Bottle. 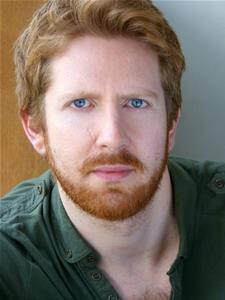 For Second Age Theatre Company Stephen has played Lorenzo in The Merchant of Venice and Ozwald in King Lear. His most recent work for the company was a national tour of Hamlet. At the Theatre Upstairs (Black Lion), Manchester: Anything for you/A Figure of Speech. He also took part in the 24 Hour Plays at the Hyde Theatre Festival, Manchester. Remembrances At the Balor Arts/Allley Theatre. He’s also devised a one-man performance of A Christmas Carol directed by Nicky Harley, which played in both Manchester, his hometown of Derry and at the Hen & Chickens Theatre in London.